Actress, daughter of actress Whitney Blake. 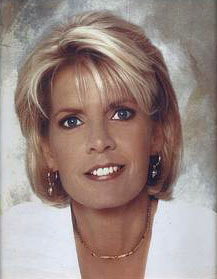 Once known as Meredith Baxter Birney. Outed herself as lesbian in 2009. Interview with Matt Lauer, Today, 2 December 2009: "I am a lesbian and it was a later-in-life recognition. Some people would say, well, you're living a lie and, you know, the truth is -- not at all. This has only been for the past seven years... I've always lived a very private life. To come out and disclose stuff is very antithetical to who I am... I did not want some tabloid to take the story and make it up -- I wanted it to be in my own words." Although her recent claim is that she is a "lesbian", we list her as bisexual on account of her past relationships with men, from whom she has borne offspring.